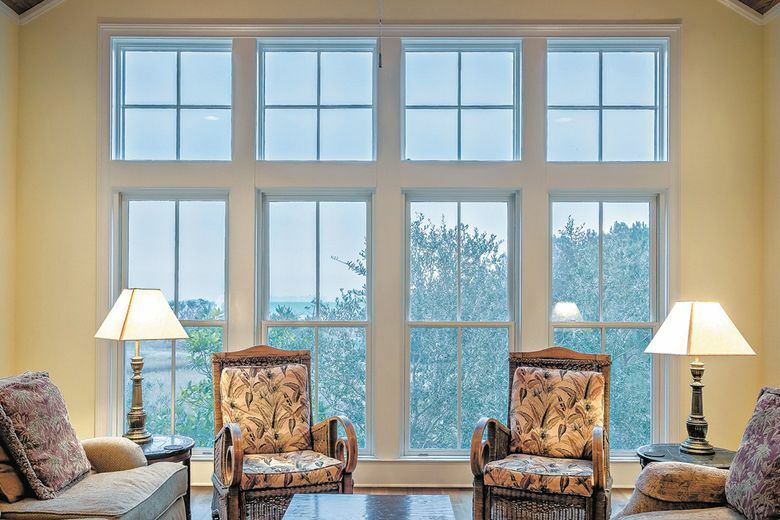 Replacing the windows in your home can be one of the highest-value investments you make. But if it’s done wrong, it can be one of the worst. Q: I’m remodeling my home. What do I need to know about replacing my windows? A: The difficult thing about buying any complex building product, like windows, is that you don’t know what you don’t know. This means you can’t always ask the questions you need to ask to get the answers necessary to make an informed decision. When done right, replacing the windows in your home can be one of the highest-value investments you can make. When done wrong, it can quickly become one of the worst (and most expensive) mistakes you can make. Here’s a primer on how windows work, so you can partner with a contractor and ask the right questions when it comes to your remodeling project. First, it’s important to remember that a window is part of a system that keeps the elements out of your home — it isn’t just an opening to let in light. The main reason you have an exterior to your home is to keep the outside elements (rain, wind, cold, rodents, insects) from coming in. Windows may seem simple, but because they integrate the interior and exterior of the home, they’re the most likely place for a building envelope to be breached. A little leak for a short period of time likely won’t cause catastrophic damage, but for a long period of time it could lead to energy loss, rot and even unwelcome critters in your home. If you currently have an impermeable wall that keeps the elements at bay, you have a working system in place. When you take an old window out to replace it — whether it’s because the old ones wouldn’t open, you’re interested in something that’s more energy-efficient or you just want a new look — you disrupt that system. Unfortunately, you can’t replicate the system without starting from scratch like you would in new construction. (In new construction, the home is built around the window — not the other way around.) The answer to creating a new impermeable wall without a major demolition is building a system that makes modifications to either the inside or the outside of your home. To make this decision, it’s important to work with a contractor. In a booming building city like Seattle, a good contractor is likely busy — be prepared to book in advance and remember to be patient throughout the process. A good contractor will understand what the underlying framing is like (it’s not uncommon to pop out a window and find something like rot, missing studs or plumbing) and will help you make the best decisions for your home. Working with a contractor to make the decision on whether to modify the inside or outside of your home before you order your windows is a must because it will affect how they’re manufactured. While you can purchase standard-size windows and make them fit your existing space, it’s best to do a custom order with a made-to-order window manufacturer. You’ll be fitting windows into spaces that are preset, and it’s best to do that without having to disturb any siding or lath and plaster. Appearance-wise, the choices are endless — with options for frame materials, interior and exterior colors, types of glass, hardware styles and more, you can find a window that matches your home’s look, whether you’re going for something period-appropriate or something more modern. Because there are so many possible combinations, it helps to stop by your local window showroom to see some examples firsthand, or source inspiration from the internet. If you know what you want it to look like, your contractor will know what it takes to make it happen. It’s important to get everything right the first time, from the look and feel of your windows down to every specific measurement. Most manufacturers won’t refund custom orders, and windows are a big investment — you can easily spend a lot of money on a remodeling window order, so be careful and rely on trusted specialists to help you get the job done. An improvement like this takes a lot of planning, and planning now will save you all kinds of headaches (and money) so you can enjoy your new windows — and your safe, dry home — for years to come. Mike Dunn is president and CEO of Dunn Lumber and a member of the Master Builders Association of King and Snohomish Counties (MBAKS). If you have a home improvement, remodeling or residential homebuilding question you’d like answered by one of the MBAKS’s more than 3,000 members, write to homework@mbaks.com.